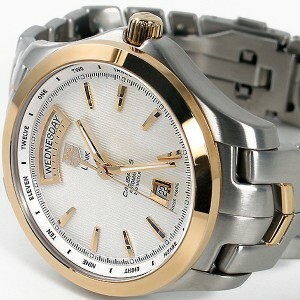 This elegant Sports Watch, the WJF2050.BB0593, is designed specifically for the business man on the go. The Link series, known for its elegant simplicity With a beautiful two tone band and gold bezel, its bound to compliment any business suit. But like the two-tone colors of the watch, this piece itself is multi-functional. 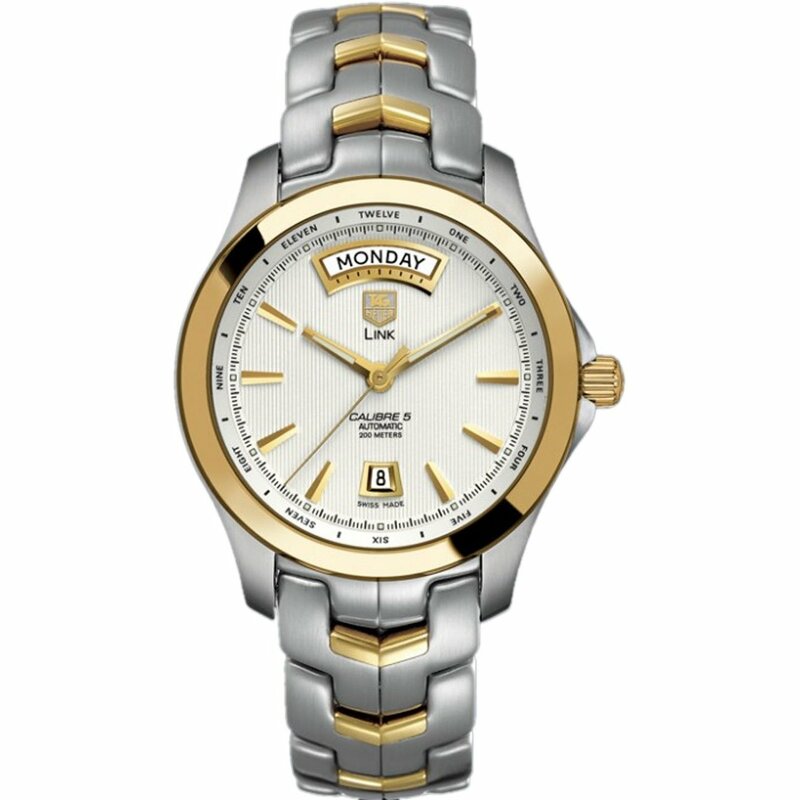 For while it has a thinner band than most men’s watches, it is made of extremely durable 18-karat gold and Stainless Steel materials, bound to handle whatever you can dish its way. This model needs no battery and runs impressively, on just the energy created by the natural motion of your arms, hands and wrists. With quality Swiss Automatic Movement, a Two-Tone Stainless Steel Band and Scratch-Resistant Sapphire Crystal Face, this watch also has the unique feature of beautifully spelled out hours that read one, two, three instead of the standard 1,2,3. The luminous gold tone hands are also a simple, yet elegant touch, not to mention they are luminous, making it easy to read time in the dark. The ergonomic design, in a slight S shape, makes the watch incredibly easy to wear and comfortable on the wrist, which is ideal for golfers or businessmen, who may spend a lot of time working on the computer. As far as downsides go to this watch, the standard issue of a linked watch, as opposed to a rubber band, is that the watch may or may not fit you exactly when you receive it. Removing links is a process typically only done by a jeweler and could cost extra, and seeing as how this watch runs anywhere from $2,400 to the list price of $3,200 – an extra cost might be the last thing you need. The watch appears to be hard to come by, and is not available on Amazon, and many other frequent online luxury watch retailers. It is listed on TAG Heuer’s website, though, which means you can find it at TAG Heur’s specified, luxurious retailers the world over.